For extra sweetness, add 1/4 cup organic maple syrup to butter mixture. Preheat oven to 350 degrees. In a large bowl, combine nuts, seeds, flax meal, and coconut. In a small saucepan, combine butter and honey and heat until melted. Add vanilla to the butter and honey, and pour over the rest of the ingredients. Mix well. 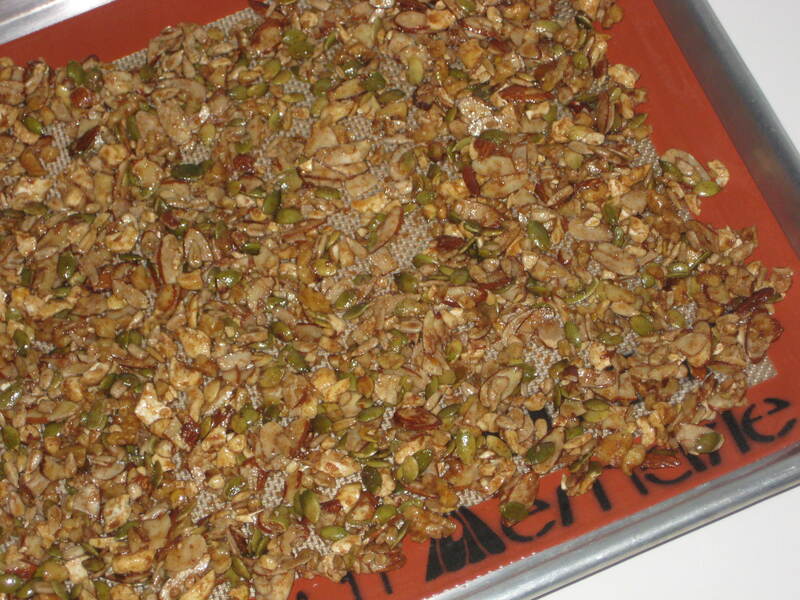 Spread granola onto a large baking sheet, and cook for 30 minutes. Let the granola cool, then break into small clusters.